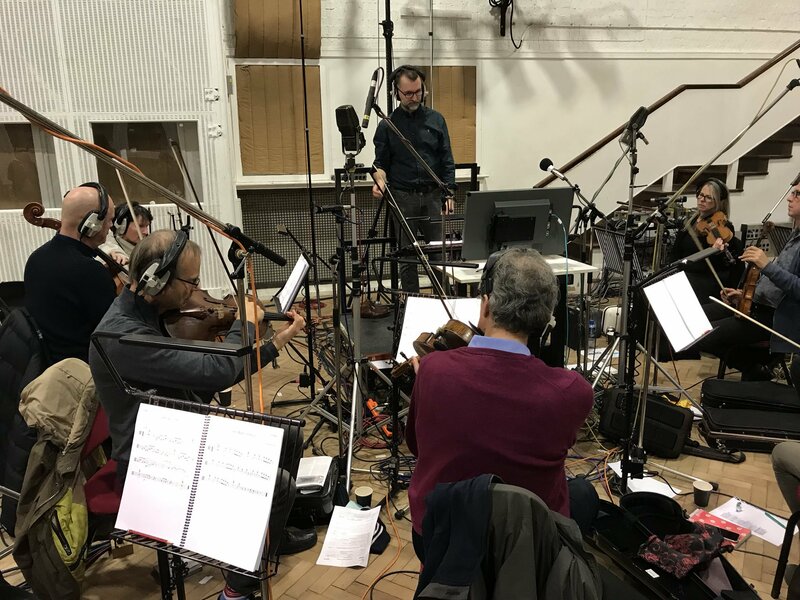 LMO recently recorded Michael Price’s score for Patrick. Ed Skrein, Jennifer Saunders, Emilia Jones and Beattie Edmondson star in the story of a teacher who is bequeathed a ‘small beast’ by her grandmother – a cute but naughty pug dog called Patrick..
Michael Price scored for a 22 piece string section with flute (doubling alto flute), clarinet, 3 horns and trumpet. Janice Graham led LMO and the sessions were conducted by the composer. The recordings took place at Abbey Road studio 2 with Joe Rubel as engineer. The screenplay for Patrick was written by Vanessa Davies, Paul de Vos and Mandie Fletcher, who also directed the film. The Production Company is Wagging Tail Productions and Patrick was distributed by Walt Disney Studios Motion Pictures in June 2018. Patrick from Andy Brown on Vimeo.